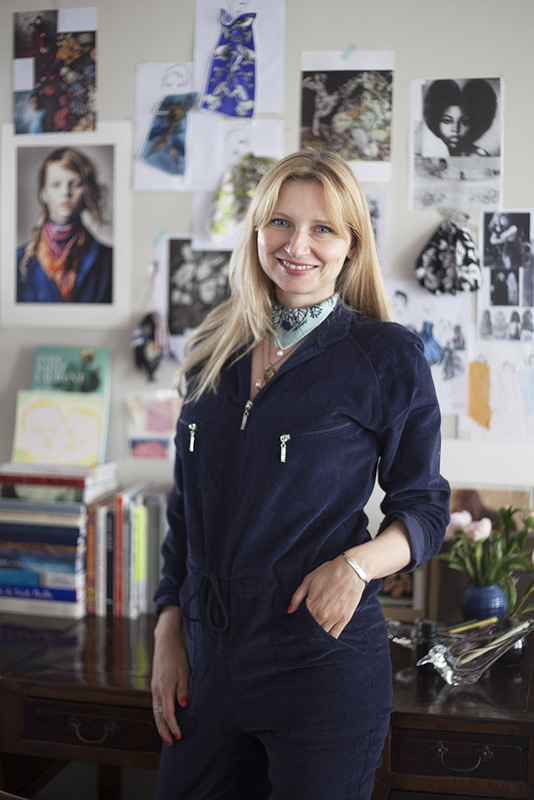 A world of print through the eyes of textile designer and illustrator Barbara Agnes. Barbara Agnes is a textile artist and designer whose prints have been bought and commissioned by fashion brands including Chanel; Louis Vuitton, Oscar de la Renta, Top Shop, Martine Sitbon and Shanghai Tang. Merging her poetic ink pen drawings with digital skills, Barbara Agnes creates modern and bold designs for her luxurious annual accessories range, as well as for bespoke client projects. Her artwork features organic fauna and flora elements infused with vibrant colours and bold shapes, as well as the art and everyday beauty surrounding her design studio in the center of Paris. Barbara Agnes graduated from Central Saint Martin's College with a BA in fashion design and print. Since setting up her brand in 2009, she has been invited by an array of companies to bring her dynamic and eclectic style into their world through collaborations. Most recent clients include Julep, Free Persephone, Rapha and Lane Crawford. She has worked over a wide range of subjects from fashion and textile to interior design, beauty, perfume and 3-D display.